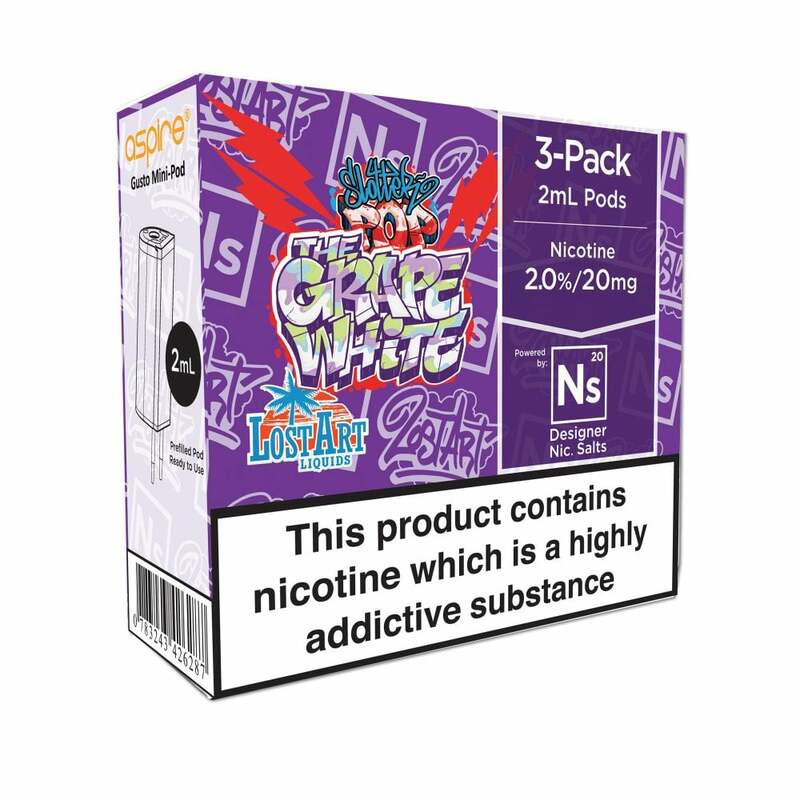 Lost Art’s The Grape White is a complex grape e-liquid, and is now available as a nic salt pod for the Aspire Gusto Mini. The Grape White Gusto Mini pods are full to the brim with sweet and juicy white grape flavour, topped off with a hint of sugary candied apple and citrus for a refreshing all-day vape. the flavour doesn’t have a hit like how the frost flavours do, but that’s not the issue. two pods were normal, the last one had the liquid already dropped into the lower chamber, but i pulled the sticks anyway and waited about 20 mins for it to prime. i took a hit and it was fully burnt. a waste of money for this flavour. how do i ask for a refund?